Standard Estonian company has the legal form of limited liability company - OÜ (Osaühing), equivalent of LLC. The activity of an OÜ-company (AS as well) is governed by the Commercial Code of Estonia. The minimum share capital for registration is 2,500 Euro. If the founder of OÜ is a natural person, the authorized share capital may be paid later (in general in 3 years from the registration). 1. Shareholder / and (owner (s) - one or more persons, legal entities and individuals. Shareholder is not personally liable for the obligations of OÜ. 2. The Management Board - one or more persons, only capable individuals. The Management Board represents and directs the company. The responsibility for the activities of OÜ take the Board Members. The Board Members are elected and recalled by shareholders (if there is no Supervisory Board). The size and way of payment of fees payable to the Members of the Board are deteremined by the decision of shareholders. 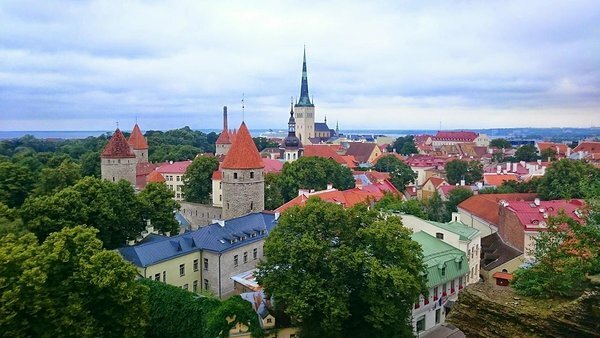 Estonian tax system consists of state taxes imposed by the laws on taxes and local taxes imposed by law rural municipality or city assemblies in their administrative territory. Land tax - paying only the owner of the land. The amount of tax is calculated by multiplying the price of the land tax on the land tax rate. Excise tax on heavy vehicles - cars and trains are subject to the maximum authorized weight of 12 tonnes or more, provided for the transportation of goods; taxable, depending on the register or the total weight, number of axles and type of suspension drive axle. * 3. Income tax on profit in the event of distribution of profits. * 4. Once a year, paid the land tax (if the company is the owner of real estate in Estonia). 1) Annual Financial Report - to the Commercial register in Estonia. Every year by the 30th of June every Estonian company must submit annual financial report with an indication of its financial activity for the past fiscal year (from 01.01 to 31.12). 2) Monthly tax declarations - to the Tax Department of Estonia. by the 20th day of each month - for VAT. Statistics Department selectivily sends a request to the Estonian companies to provide quarterly statistical reports - to provide information on ongoing activities of the company, wage workers and members of the board, on non-residents. This information is statistical in nature and it should be submitted obligatory. If the company is engaged in foreign trade, the CBE may submit a request for more information about the company. number of employees - 30 people or more. number of employees from 90 and above.